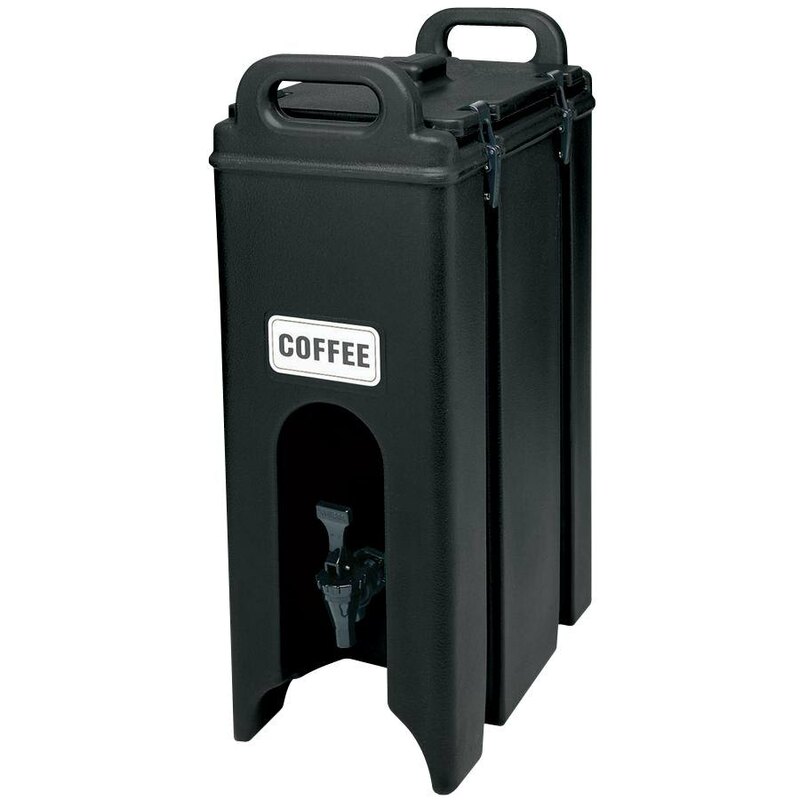 Use this Camtainer insulated beverage dispenser at any catered event. Four sturdy plastic latches with molded-in metal backing plates secure the lid tightly, while thick foam insulation keeps your cold drinks cold and your hot drinks hot. To accommodate larger cups, this Cambro insulated beverage dispenser features a drip-proof recessed faucet, allowing for even dispensing and easy self-service. For safe transporting and storage, this unit has E-Z grip molded-in handles and stack interlocking to ensure stable stacking.